So the Icon Airmada comes new to the party, brings the grain, and refuses to open the front door for the police. He's got his rowdy friends with him (not Hank Williams though) and they all have their own styles. Imagine they are all Airmada helmets. Dazzleship anyone? 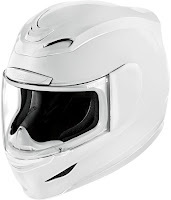 The Icon Airmada Stack helmet was the first leaked picture we saw as part of the Brammo project. It's on fire with electricity (is that possible?) 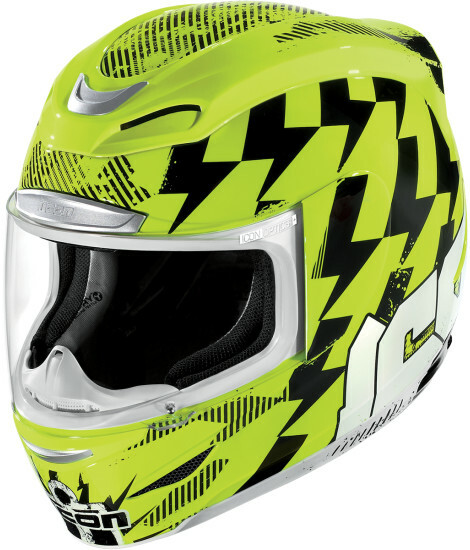 it also comes in 6 colors including the Hi-Viz we're showing here. 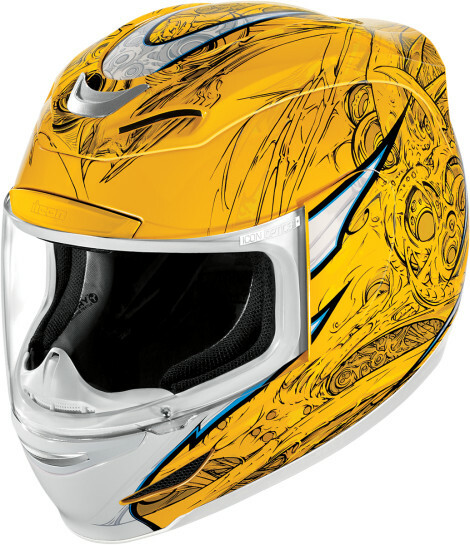 The Airmada Sportbike SB1 helmet definitely has "pseudo-mechanical tendrils" in its description. I call that organic gnarliness with a touch of fear and loathing. 6 colors including a sweet orange. It almost hearkens back to an age of Duke Nuke'm. 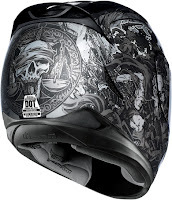 The Icon Airmada 4 Horsemen helmet is quite the apocalyptic statement - and there isn't even a shot of Dean Malenko on the lid. Think greyscale white-walkers on a graphic sending Jon Snow back to the wall. One color of this bad boy. All ghosted and grey, all the time. The skull on the back is boss. 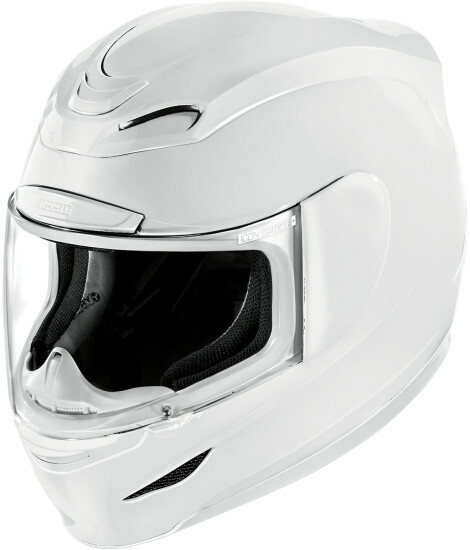 Tried and true, the Airmada Gloss Helmet is for those of you who aren't into post apocalypyical-electrified-gnarly-lids. Do you know what this means? 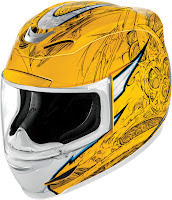 You have good taste in a helmet which will vent well and be rock solid at speed. Bravo. All in all the Airmada is looking to replace the Alliance and with all of the same features but even more umph, we should see a solid push. Looking forward to beating on one (I am an Airmada Rubatone man myself), at first glance the style and features look like a win.